A Worship Committee sponsored selection of readings and a homily from The Unitarian Universalist Congregation at Montclair by The UU Congregation of Princeton’s affiliated Evergreen Chapter of CUUPS, the Covenant of Unitarian Universalist Pagans. Participants include chapter members Eva Liane Foster, Sally Walsh and Brian Schorr. A homily from The Unitarian Universalist Congregation at Montclair by Rev. Charles Blustein Ortman. 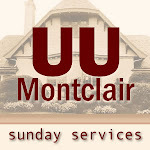 A custom-written sermon from The Unitarian Universalist Congregation at Montclair by Rev. Charles Blustein Ortman. A Worship Committee sponsored sermon from The Unitarian Universalist Congregation at Montclair by Mr. Stuart Caplan.